Stepan Sarpaneva's watch has made its place in the watchmaking landscape with a very special aesthetic applied to the Moon. On the dial of each Stepan Sarpaneva watch, this moon occupied a central place, animating a unique moon phase, with a human face - a face that was said to be that of Stepan Sarpaneva himself ! Stepan Sarpaneva's watches were therefore the scene of a particularly elaborate moon phase, and it was this moon phase on the dial that seduced Maximilian Busser's watchmaking collective MB&F, to the point of leading to a collaboration embodied by the Moonmachine. 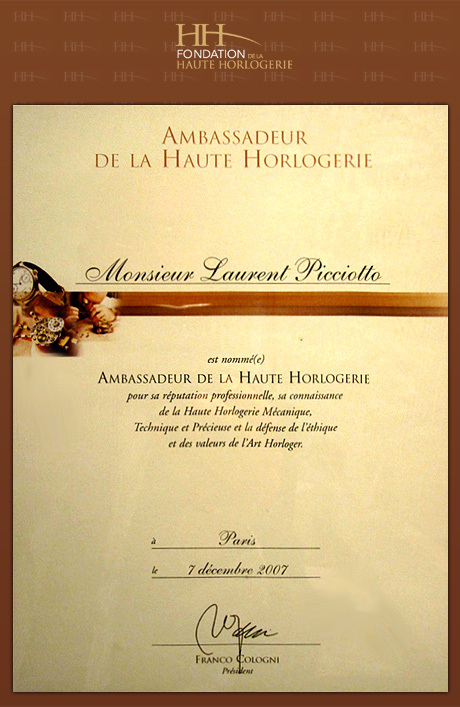 This large watch with its triangular case, which has never been replicated, is a watchmaking myth which, in addition to indicating the hours and minutes, centrally displayed Stepan Sarpaneva's great moon phase. This was a first for the watchmaking collective, as the Moon phase was not, until the collaboration with Stepan Sarpaneva, a complication of fine watchmaking valued by MB&F watchmakers, created by Maximilian Busser. With the Moonmachine, this is a luxury that the watchmaking collective has offered itself - a luxury watchmaker that has found in every replica of watchmaking within the MB&F collections, where the Moonmachine has been declined into three models of watches, produced in collaboration with the Finnish watchmaker Stepan Sarpaneva, combining gold and titanium. The Moonmachine is now on the wrist of collectors of contemporary fine watchmaking, with its triangular case in gold or titanium offering a breathtaking view of the display of the luxury moon phase by Finnish watchmaker Stepan Sarpaneva, in addition to the hours and minutes display. To date, the Moonmachine is no longer published and there has been no Moonmachine with a steel case. To have a steel case, it is therefore necessary to turn to the current watches in Stepan Sarpaneva's collection, no longer focusing only on the moon or the moon phase, but on parts that enhance a bright hour and minute display. The Finnish watchmaker makes extensive use of SuperLumi-Nova to give its displays unique colours in luxury watchmaking. 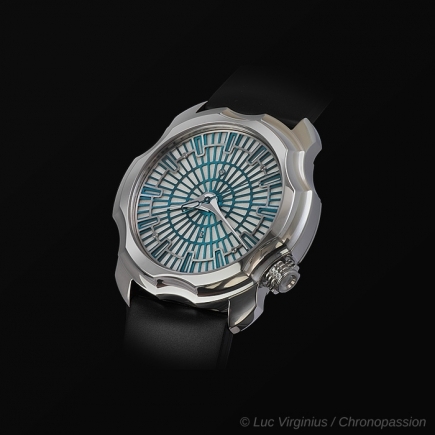 The pieces with such a dial include the Northern Lights and Korona Northern, creations by Stepan Sarpaneva that recall its Finnish roots that no replica can ever match. With the Northern Lights and Korona Northern timepieces, the watch is displayed on the dial by central hour and minute hands, deployed in atypical luxury on a dial imbued with luminescent material. The Northern Lights and Korona Northern by Finnish watchmaker Stepan Sarpaneva are still in production, with a steel case, completing its traditional range of parts with moon phase display. Nevertheless, as in any luxury watchmaking, Stepan Sarpaneva only produces a few rare parts of each of these stainless steel watches. Stepan Sarpaneva's recent collaboration with Black Badger has enabled the Finnish watchmaker and James Thompson (Black Badger) to create other watch models based on the same principle of a luminescent display where white, blue, green, pink and anthracite from the stainless steel case meet. Each watch is made in a very small limited series, as was the luxury Moonmachine watch from the MB&F watchmaking collective led by Maximilian Busser.